The Alberta Party leadership race (it’s finally a race! 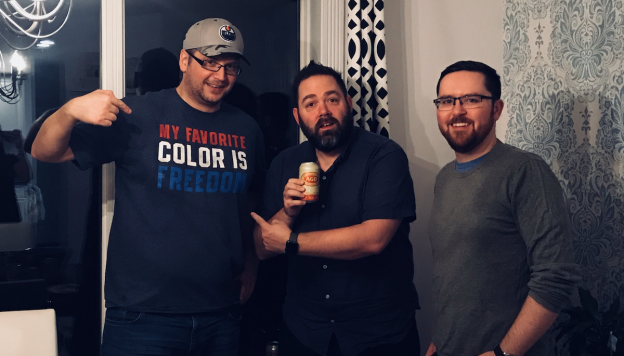 ), the United Conservative Party’s leaked policy document, predictions for 2018, and hot gossip from the Alberta Legislature are just some of the topics covered in the latest episode of The Daveberta Podcast with Dave Cournoyer and Ryan Hastman (recorded in the Harry Strom Memorial Studios on Friday, Jan. 12, 2018). Dave also talks about the 10 year anniversary of the edstelmach.ca incident. Listen and subscribe on Apple Podcasts, Google Play, and wherever you find podcasts online. We’d love to hear what you think of the podcast, so feel free to leave a review where you download it and share the podcast with a friend. 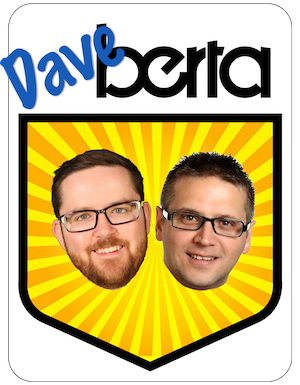 Also feel free to leave a comment on this blog, Facebook or Twitter or send us an email at podcast@daveberta.ca. We’d also like to send a huge thanks to our producer, Adam Rozenhart, for his help in making this podcast a reality. This entry was posted in Alberta Politics, Daveberta Podcast and tagged Adam Rozenhart, Alberta NDP, Alberta Party, Alberta Party Leadership Race 2018, Alberta Podcast, Alberta Politics Podcast, Chris Henderson, Dave Cournoyer, Daveberta Podcast, Ed Stelmach, edstelmach.ca, Jacob Huffman, Jason Foster, Jason Kenney, Kara Levis, Rachel Notley, Rick Fraser, Ryan Hastman, Stephen Mandel, United Conservative Party on January 15, 2018 by Dave Cournoyer. Having a domain name in no way implies that I am the person in the domain name. Had he created a fake page acting as Ed Stelmach there may have been a case but he didn’t; he just redirected it to another page. He could also legally create a parody page at that site as long as it was not reasonable for someone to believe it actually had belonged to Ed Stelmach. I would suggest that the NDP did in fact mention that they intended to do something around climate change without specifically saying “Carbon Levy” but what could that have been? Of course any logical mind would be able to connect the dots. After all, On February 19, 2008, the Government of British Columbia announced its intention to implement a carbon tax of C$10 per tonne of Carbon dioxide equivalent (CO2e) emissions (2.41 cents per litre on gasoline). So when I hear or read that the NDP didn’t campaign on a Carbon Levy, I say you were not paying attention! (5.15) And we will protect the Castle Wilderness Area. Chris was the good part. Dropping bombs.